Freedom is never granted to those unwilling to demand and fight for it. 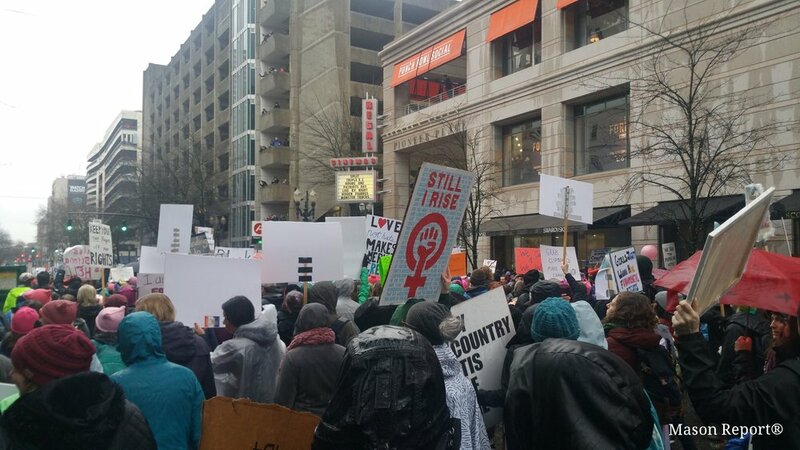 By the tens of thousands, Portlanders inundated the streets near the waterfront to take part in a post-inauguration women’s march, a symbolic extension of the massive Women’s March on Washington in D.C. 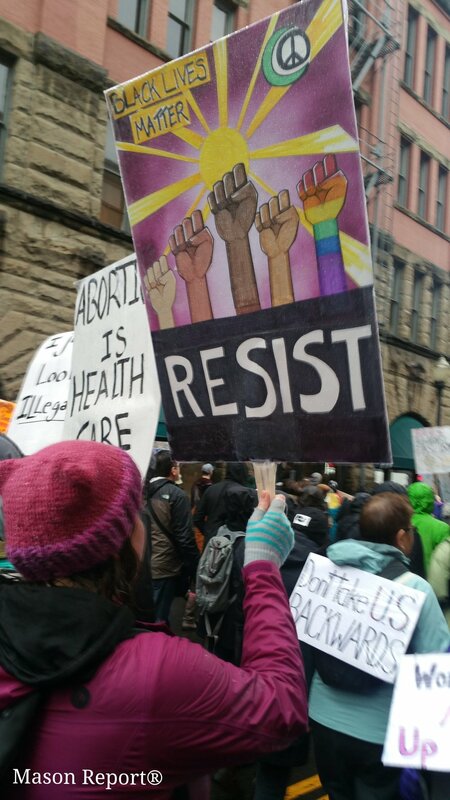 If Portland's reaction to November 8th is prologue for future demonstrations, then the Trump administration better prepare to be held accountable in the beaver state. 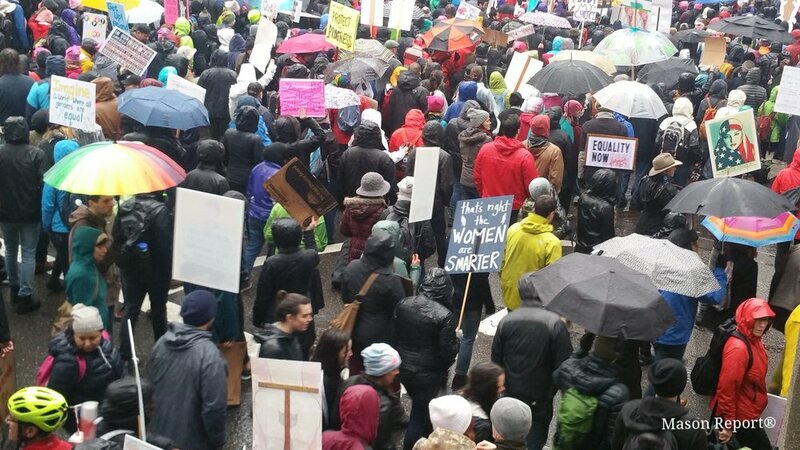 Originally coordinated by women’s groups across the country, today’s nationwide marches drew people from all walks of life. It was evident that Knutson believed those safe spaces would not exist till people were bonded in true solidarity, a theme consistent throughout the day. Despite what she describes as a "rise in racism and bigotry" after President Obama was elected, Knutson hopes, "we have a similar rise in equality and feminism," [with the election of Trump]. Brist took a moment to consider the reaction of the president to the nationwide movement. Similar to Knutson, Ms. Brist ultimately concluded that Trump's penchant for hostility for resistance could not evolve in the course of two days and he would likely have an adverse reaction to the nationwide protests. Most important aspect of our conversation interpreted her view of intersectionality. Brist shared a genuine desire to help all communities to not only reach their potential, but exceed them and ultimately reach their goals. When that is achieved, she says, "then we have reached true equity." Towards the end of the event, speakers from Don't Shoot Portland, used that platform to repeat a common, but necessary theme: solidarity. One member declaring, "If your feminism doesn't include black women, and LGBTQ women, and Asian women, and Muslim women, and Hispanic women, and disabled women, then we don't want your feminism." The organizers of this grand event missed an available opportunity to instruct marchers on how to get involved. Drawing a crowd of supporters nearly toppling the 100 thousand person mark is no small feat. But simply accepting that statistic as a victory and moving on is disappointing. Clearly, people are motivated to get involved and stay involved. Thus, there should have been a more directed guidance for future action from marchers. There should have been leaders from Portland organizations recruiting and signing people up by the thousands. There should have been calendars posted with dates for future events. There should have been a less celebratory tone, that was replaced with a serious call to action. Marching is the first step, not the last. The 10 Actions / 100 Days effort is a positive start. But even these 10 actions were not widely publicized. 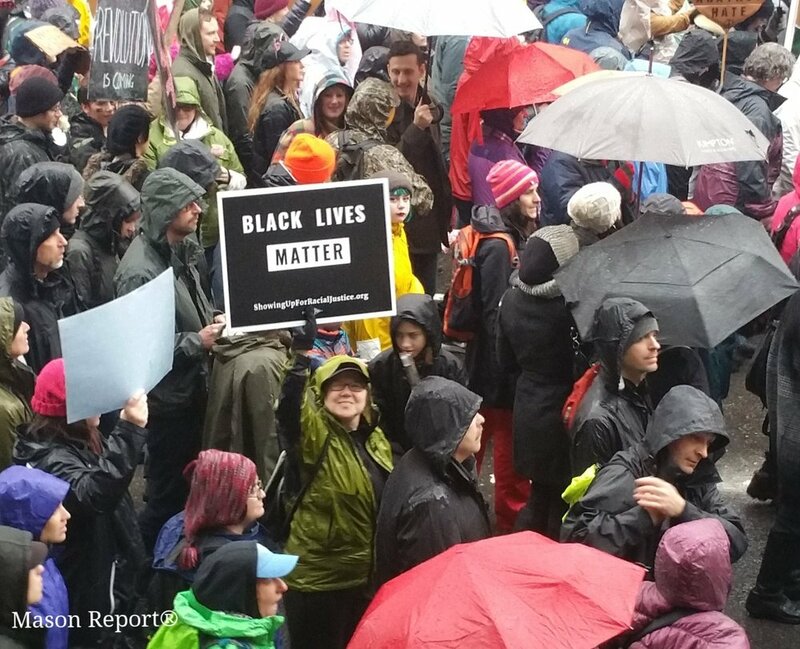 Portland has an impressive activist spirit. Portlanders are more willing than most to express their disapproval of government. Event organizers and human rights organizations need to find ways to benefit from that collective activism. If the goal is action to prevent an oppressive regime from stripping rights, then people need to do more than just donate to the ACLU and NAACP - they need specific guidance on where, when and how often to act, and boycott, and rally.